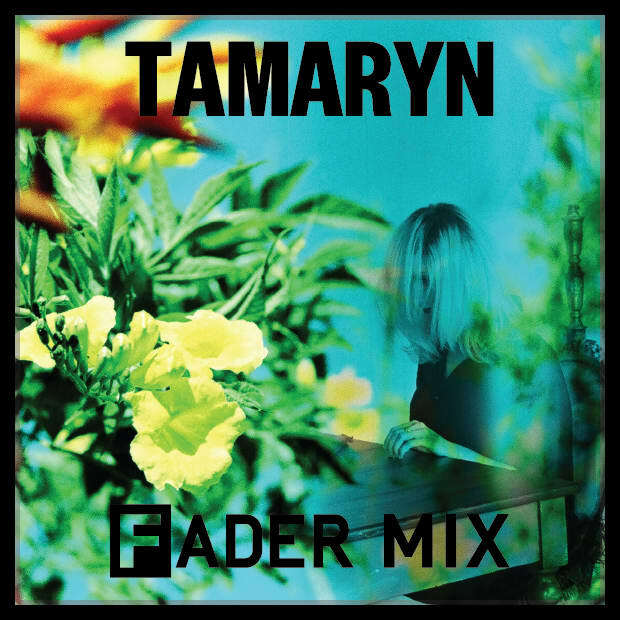 It's been two years since Tamaryn released her coruscating, shoegaze debut album The Waves, a collaborative project with longtime friend and San Francisco-based musician Rex John Shelverton. In the time between records, the duo learned to be a live band, and Tamaryn moved from San Francisco to Los Angeles, having a minor musical crisis of faith. "I didn’t want to do that, 'Well, we gotta make another record' thing because I think there are so many beautiful records already in the history of music, and that you shouldn't add to it unless you have something worthwhile," she told us over the phone. Tender New Signs, out October 16th on Mexican Summer, captures the particularly fertile writing period that began once she realized that she still had more to say. Her FADER mix, which she's titled "Wild/Abandoned," is a distillation of all the ideas and themes and influences that were floating around in her mind during the process of making the record. And, as you'll see from the interview below, hers is a very good mind indeed. Why did you choose to title the mix "Wild/Abandoned"? I kind of intuitively put together this mix. Some of the [music is] stuff I’ve loved for years, and some is artists I’ve revisited or old artists that I’ve been turned on to recently. It’s always fun when you make a mix for someone to see the subconscious symbolism that comes out, you know? There’s always a sort of magic or alchemy to it. So I noticed some words and themes and pulled the title from that. The longer I’ve been an artist, the longer the lines are blurred between what my opinion of myself is and what my work is, you know? It’s totally psychological and weird, the whole experience of creating a band and making albums and everything that comes with it—making the imagery. I feel so emotionally tied to it, maybe to an extreme. It’s sort of all I have, and it means so much to me, and I’ve dedicated my whole life and all of my energy to it, so it kind of veins out into everything, including mixes for blogs. You were raised by two Jungian psychologists, and it seems that that upbriging has had a profound influence on your thinking and approach to making music. Yeah, I was raised by basically two different women that were both psychologists based in Jungian theory, and a bit more evolved in psychedelics, even. I don’t know if you’ve read the Red Book, but that stuff is as psychedelic as it gets. But, you know, when you say Jung or Freud, people get these basic ideas of the unconscious and the collective unconscious and stuff like that. But I was raised by these women of the ’60s who became interested in it. I was born in the '80s, so they had kind of evolved their own work out of it by that point. It was very unorthodox and a very interesting thing to grow up around. Everything I do is so influenced by it. I think everybody is influenced by the way they grow up. I just happened to grow up in this other way that taught me what art was at a very young age. That’s what I got from it that was wonderful. I left home when I was really young as well, but all those things I took from my childhood that were really positive have affected what I do. I had all these strong, intelligent women that were interested in becoming more evolved people through creativity. I think that’s an invaluable lesson. Everything becomes connected and everything has this intense symbolism and it can be really scary because it shows you a lot about yourself and it also magnifies the beauty and the tragedy of existence, at least a little bit. What is one track on the mix that you would say represents a very old and deep-rooted idea for you? The first track on the record is a classic goth group that I’ve loved since I was a teenager. I love them because I can listen to them over the years and find differences, because all their songs are really different from each other. I can [always] find a song that represents how I feel. Something [about them always] feels totally fresh, and the lyrics are really really poignant and beautiful. To be honest, none of these bands are new bands, but I got into this guy Paul Simpson from Liverpool and he had several bands. He started the Teardrop Explodes with Julian Cope, and then he left and started The Wild Swans and then a band called Care. And I got turned on to him these past couple of years and he’s now become my hero. So, he's like your spirit animal. Well, I actually call Brett Anderson from Suede my spirit animal. But Paul Simpson has become sort of my hero in a lot of different senses now. He’s just an amazing lyricist and has so many amazing songs. His band never really achieved the notoriety that it should have. I mean that’s an understatement; they were a really really underappreciated band. If you were to recommend an ideal scenario for listening to the mix, what would it be? Always, I think, alone in a room, in the dark, for sure. When I make a mix, that’s what I’m feeling more of the time. It’s totally a head-song kind of thing. It gets upbeat in the middle and has these early Creation Records kind of jams but it’s still a totally personal mix. It’s made from me to one person, whoever that one person might be.